One afternoon somewhere in the beginning of 2007 two friends decided to join forces, one DJ and one producer, sharing a great passion for house music. 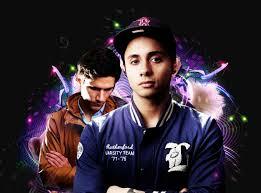 Bassjackers was born! Marlon Flohr and Ralph van Hilst had not foreseen what was to come when they started working together. Marlon was mainly DJ-ing and playing house music, when the idea came to push Ralph's productions in a direction where Marlon could play the tracks in his sets. After first getting noticed by Fedde le Grand, a solid stream of releases and remixes followed which received massive support from all the top global DJ's. However their big break came in 2011, when their dancefloor bomb "Mush Mush" got picked up by Ti�sto and released on his imprint Musical Free- dom. It dominated the Beatport top 10 for over 2 months and eventually became one of the biggest club/festival tracks of 2011.
as well as 'Duckface' - their collab with Kenneth G. This year also saw the likes of the popular 'Raise Those Hands', their collab with fellow Dutchman R3hab and'Zing' on Nicky Romero's Protocol label. The boys embarked on a nationwide fall tour of North America as special guests of Bingo Players late 2013, and they joined a slew of great names on the renowned Future Music Festival tour through Australia that spring. In 2014 their major breakthrough came when their biggest track from 2013 "Crackin" was released as a new collaboration with teen phenom Martin Garrix - instantly topping the Beatport charts! At the end of 2014, Bassjackers and Dyro took over North America with their 'X' Tour. After an awesome start in San Diego, the boys headed to places like Chicago, Boston, New York, Washington and San Francisco. Last but not least, Bassjackers released their hit single 'Savior'(#2), which was their fifth top 10 hit on Beatport in 2014. Additionally, 'Savior' received great feedback and support from fans, with over 1 million YouTube in two weeks time! Jackin the Bass at a venue near you and on air. Let's Get Weird!